Description: Silverpen Productions offers customized content and marketing services - print or digital - for businesses, publications, or individuals. With experienced, detail-oriented professionals with industry knowledge in multiple divisions, we give small companies access to professional writing, editing & design services at an affordable cost. Get interviewed! Find entrepreneurial resources! Locations: Virtual/Traveling Office; currently serving clients in New York, New Jersey, and Washington. My primary focus is on women-owned businesses. I design websites & printed marketing materials for your professional & personal success in a "stress-free" atmosphere. I understand technology phobias but don't play into them for profit. I'm interested in your business and how to make it more successful. I love helping people grow their businesses! You may hear me call my work "play" - that's because it's fun and exciting! Why would you want to work with someone who wasn't excited about your business? If you'd like to be interviewed for or write on my women's entrepreneur blog please give me a call today! Featured Products or Services: 24/7 Customer Service that Speaks Your Language! You can relax knowing that someone is always there to assist you with your email, domain name and website questions. Women TIES Business Referrals: I enjoy collaborating with many Women TIES members. I have made some good friends and business associates across the state. 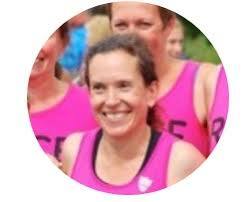 Description: A doctor and author who runs, writes, blogs, speaks and encourages other women to enrich their life through physical activity. 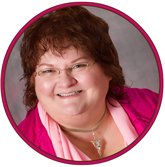 Profile: Health expert, author and speaker with 16 years experience as a family doctor. My passion is finding health and well being through physical activity. I now use my medical knowledge and love of fitness to inform and motivate women to become active. Description: Food and Fate Publishing is an imprint of Telos Press. I am the publisher, and time author, foodstylist "Breaking Bread in L'Aquila". Net profits of my book will be donated to the earthquake hometown of my late husband. Profile: Maria Filice, first-time author and food stylist, is a first-generation Canadian-American Italian. Maria grew up following her Calabrian family’s old country values. She learned from the best—her mother, grandmother, and aunts—whom she watched from the time she could barely walk. While she observed her relatives cooking together, with a little of this and a little of that, she listened well. Today, her relatives and friends are delighted as she entertains them in her kitchen with her storytelling and her cooking. In both her kitchen and her professional life, Maria’s philosophy is to live life to its fullest. Her lack of formal training cannot diminish her passion or dissuade her from taking risks with her cooking. In truth, her fresh eye has allowed her to excel. Her natural flair for food styling reflects her personal style and demonstrates how a simple recipe can look beautiful. Maria’s warmth, humor, and gregarious personality always make guests feel motivated to discover their own style in the kitchen. 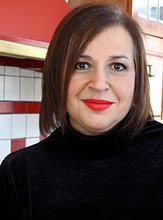 Today Maria Filice resides in Upstate NY as publisher of Telos Press, as well as publisher, author, and food stylist for Food and Fate Publishing. Featured Products or Services: Italian trattoria-style cookbook entitled: Breaking Bread in L'Aquila.